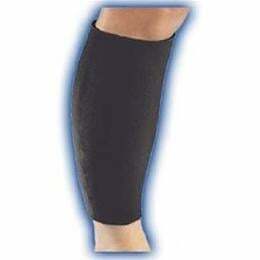 Provides constant compression to both calf and shin areas. Designed toaid recovery of minor strains and shin splints. ProStyle material addsthe soothing warmth of neoprene with a soft terry-cloth lining.TheProStyle™ Calf Sleeve offers sizes up to double-extra large.